We have learnt many things from the British. Appreciating our own heritage is among them. When European orientalists began to take interest in the culture and literature of Asia, a realization of our own antiquity dawned on us. The Asiatic Society was founded by Sir William Jones in January 1784. 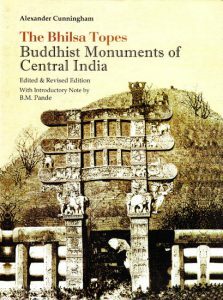 Within the next few years, descriptions of many ancient ruins of India were published in the Society’s journal. An attempt was made to study Indian archaeology in its various branches – particularly epigraphy and numismatics. This study received a further impetus when in 1837,Mr. 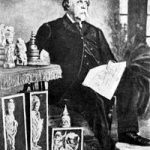 James Princep, the then Secretary of the Society, discovered the key to the Brahmi alphabet. There was however, no systematic exploration of the antiquarian remains in the country during all these years. In 1848, Alexander Cunningham published a paper in the Journal of the Calcutta Society, in which he urged that the Government of India should help in the preservation of ancient monuments by the appointment of a suitable officer. Cunningham had come to India in 1831 as a Lieutenant of the Royal Engineers. 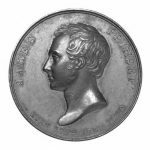 Cunningham was also a trained numismatist who had helped James Princep in his coin research. Cunningham’s appeal was heeded only after India passed under the British Crown in 1860, from the hands of the East India Company. Lord Canning, the first Viceroy of India, decided to establish the Archeological Department of Northern India in order to preserve the innumerable ancient monuments there. Cunningham was appoined the first Archaeological Aurveyor of India. His duties were “to make an accurate description of such remains as most deserve notice, with the history of them so far as it is traceable, and a record of the traditions that are retained regarding them.” Repair and preservation of these monements were not yet contemplated. 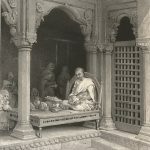 Cunningham’s activities were confined in North Western Provinces and Bihar. 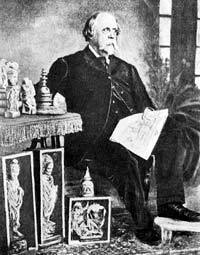 In 1866, under the Vice royalty of Lord Mayo, Cunningham was made the Director General of Archaeological Survey of India. During his tenure of service he published twenty one volumes of reports of the Archeological Survey of India. He was guided in many ways by the English translation of Hiuen Tsang’s travels. In 1874, the activities of the Survey were extended to Western and Southern India, but conservation of ancient monuments did not form a part of the duties of the Archeological Survey of India. Many of the striking monuments had been left uncared for and were fast disintegrating. Developments took a favourable turn after Lord Lytton was appoined the Viceroy of India in 1878. He wrote, “The predervation of national antiquities and works of art should not be left to the charge of the Local Governments. I cannot claim upon the administrative initiative and financial resources of the Supreme Government more essentially imperious than this.” The Indian Treasuretrove Act was passed in the year 1878. 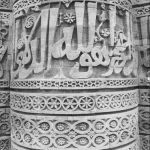 In 1881, the post of a Curator of Ancient Monuments was created. His duty was to prepare a classified list of which monuments were to be kept in permanent good repair or were decayed beyond that point, but not in complete ruin or were unimportant or irretrievably ruined. Ten folio volumes under the title Preservation of National Monuments in India were produced, containing illustrations of some of the most famous monuments. Archaeological work received a huge impetus after Lord Curzon was appointed the Viceroy of India in 1899. Within a few weeks of his landing, he delivered a speech at a meeting of the Asiatic Society of Bengal and announced his intention to encourage archaeological study and research. A year later, speaking before the same Society, he said, “I regard the conservation of ancient monuments as one of the primary obligations of the Government. 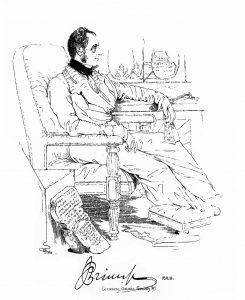 We have a duty to our forerunners, to our contemporaries and to our descendants.” Lord Curzon observed that in England, there was abundant private wealth to take care of conservation of antique structures, manuscripts and the like. India, on the other hand, is covered with visible records of vanished dynasties of forgotten monarchs or persecuted and sometimes dishonored creeds. Many of their monuments are in out of the way places, liable to the ravages of the tropical weather, exuberant flora and ignorant local population. One lakh Rupees were allocated every year for the preservation of monuments of importance. Mr. (later Sir) John Marshall was appointed the new Director General of ASI. British India had earlier been divided into five circles – 1. Madras and Coorg, 2. Bombay, Berar and Sind, 3. The Punjab, Baluchistan and Ajmer, 4. U.P and the C.P and 5. Bengal and Assam. Now, by an order of the Government of India in the Foreign Departmment, the Indian Princely States were put under one or the other circles, but with clear instructions not to do anything which might offend the rulers. In 1904, the Ancient Monuments Preservations Act was passed. The main objects of the Act were to ensure the proper upkeep and repair of ancient buildings in private ownership, except such as were used for religious purposes; to prevent the excavation of sites of historic interest by ignorant and unauthorized persons; and to secure cotrol over the traffic of antiquities.In 1906, Lord Curzon, the greatest friend of Indian archaeology, left India. Within six years of his departure an attempt was made to decentralize the Archaeological Department. Due to the storm of protest in India and England, this proved abortive. Since its very inception, the Survey had concerned itself primarily with the monuments dating from the Maurya Period. 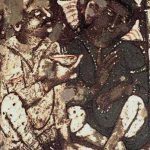 Though it was always assumed that the Aryans brought an advanced form of civilization into India, very little archaeological evidence of a period earlier than the time of the Buddha was forthcoming. No systematic attempt had been made to e xplore the valleys of the great rivers which the Aryans occupied in their early days in India. It was never dreamt that there could have been an earlier civilization which was in every respect superior to the civilization of the Aryan immigrants. All such ideas were however completely tyransformed by the discovery of the Indus Valley Civilization. The excavations at Mohenjo –daro and Harappa revolutionized the conception of Indian civilization and culture. Harappa was the first Indus Valley site to be discovered. 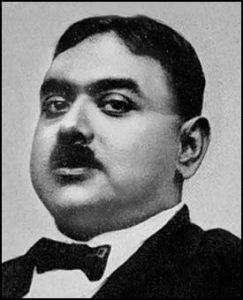 The credit for the discovery of Mahenjo – daro goes to the Indian archaeologist Rakhaldas Banerji. In 1920, he visited this site 600 Km away from Harappa, that had a 2nd Century BC Buddhist stupa standing on a mound of bricks and earth. Banerji believed that buried beneath the mound of earth was a very old city. He carried out the excavation and found the remains of a large city built mainly from baked brick. Banerji’s team found objects such as beads, weights, seals and finely painted pottery. These objects were similar to those found at Harappa. Thus Harappa and Mohenjo-daro were established as the twin sites of the ancient Indus Valley Civilization. These epoch making discoveries enabled Sir John Marshall to persuade the Govt to make a more liberal grant for excavation. The work was continued at Mohenjo-daro upto 1931 and at Harappa upto 1935. In John Marshall’s time, archaeologists undertook excavations beyond the borders of India, into territories which were marked with the impact of Indian culture and civilization. The earliest of such undertakings was by Sir Aurel Stein in Chinese Turkestan. He continued his explorations in this region for seven years. 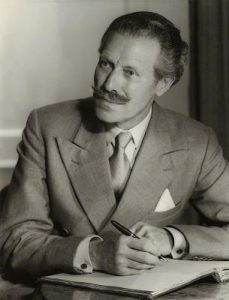 In 1944, Sir Mortimer Wheeler took over as the the Director General of ASI. In October 1944, he opened his six-month archaeological field school in Taxila, where he instructed various students from across India in the methodologies of the discipline. He was present in New Delhi during Partition and lamented at the loss to archaeology wrought by the Partition and its violent aftermath. With the partition of India, most of the archaeological sites of the Indus Valley and the whole of the Gandhara region went to Pakistan. The route along which the Aryans and in later centuries others came to India and the places of early Aryan settlements are now outside the borders of India. But the loss in area has been amply made up by the integration of the Indian Princely States. Today the entire country is divided into 24 circles. The ASI has a large work force of trained archaeologists, conservators, epigraphist, architects and scientists for conducting archaeological research projects through its Excavation Branches, Prehistory Branch, Epigraphy Branches, Science Branch, Horticulture Branch, Building Survey Project, Temple Survey Projects and Underwater Archaeology Wing. India has 7,516 km long coastline, 1197 islands and 155,889 sq. km of territorial waters and 2,013,410 sq. km exclusive economic zone. The vast water area of the country is rich in underwater cultural heritage. Beginning of underwater archaeology in India can be traced back to 1981. Establishment of the Underwater Archaeology Wing (UAW) in the Archaeological Survey of India (ASI) in 2001 marked a major step towards the development of the subject. Since its inception the UAW is actively engaged in conducting underwater archaeological studies in the Arabian Sea and Bay of Bengal. The sub-continent of India is divided today. But the fact remains that the civilization has been one through out the ages. 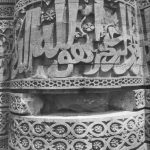 The study of history and archaeology in India and Pakistan are interdependent. Any science to achieve its true objective cannot remain confined within the narrow limits of any particular country.